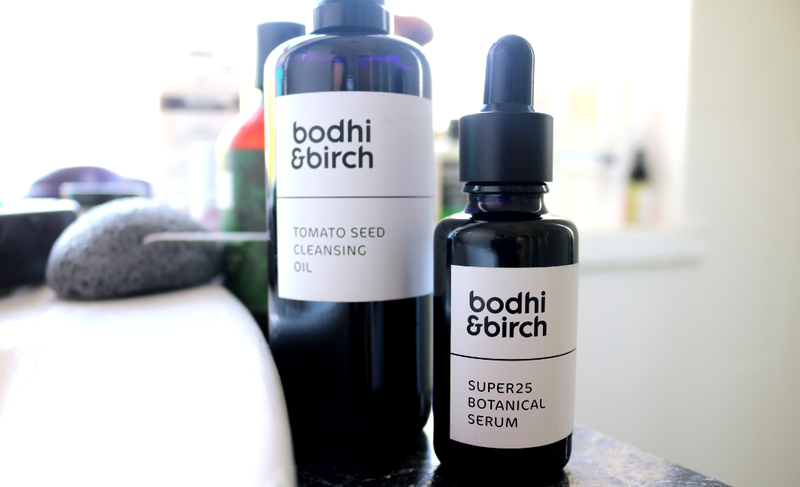 One of my favourite luxury British skincare brands, Bodhi & Birch, has launched an exciting new range of skincare called the Superfoods Series. Described as a "capsule collection of five mixable, multi-use, natural and organic products", each one features skin-friendly, superfood ingredients to deeply nourish the skin, feeding it with a range of essential antioxidants, vitamins and minerals. I really like this concept as it makes you stop and think about what's in the skincare that you use on a daily basis, and if you eat a healthy diet that's rich in superfoods, why wouldn't you want to harness that same goodness in your skincare products? As always with Bodhi & Birch, the packaging of this new range is absolutely stunning and they use biophotonic glass recyclable bottles to protect the purity of the ingredients inside. The products are all made by hand in micro-batches, and the 100% natural ingredients are ethically sourced, cruelty-free and suitable for vegans. To boost their green credentials even further, each product contains certified organic content which range from 60% to 90%. Perhaps most interesting though is that the Superfoods Series is entirely essential oil free, making it ideal for those who are pregnant or have skin sensitivities. I was incredibly honoured to be asked to be part of the testing panel for the Superfoods Series, so I've been testing some of these products since before May. Below are two of my favourites from this new range, which I'm continuing to use the full-sizes of, as part of my current skincare routine. 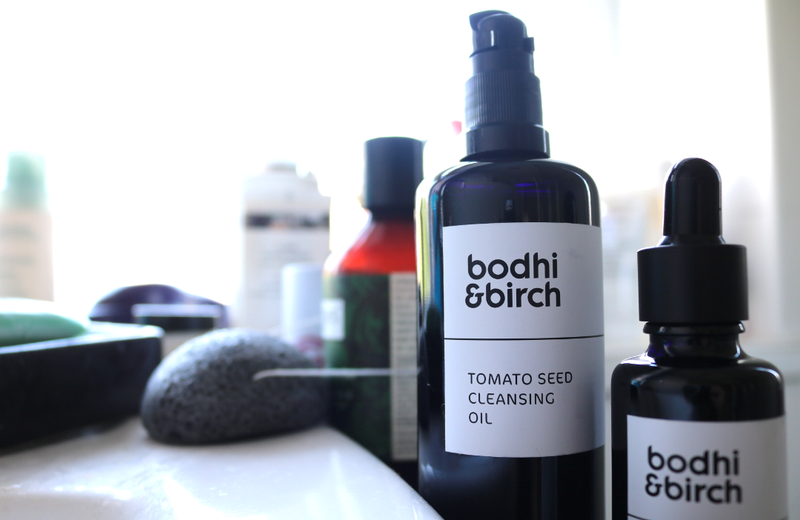 The first ingredient in this Cleansing Oil comes from its namesake as Tomato Seed Oil is incredibly high in Vitamin E, antioxidants and phytosterols, which are all important for helping to smooth out fine lines and reduce the appearance of age spots. I particularly love this superfood ingredient for its healing abilities though, because it's brilliant for anyone who has acne or blemish scars. In addition to the Organic Tomato Seed Oil, there's also Organic Plum Kernel Oil which is rich in oleic acid, linoleic acid and Vitamins E, B, and B5 - it's a wonderful moisturising and super nourishing oil; Organic Rosehip Oil which my skin loves anyway as it's loaded with essential fatty acids and vitamins; Organic Pomegranate Oil that contains punicic acid, a unique omega 5 fatty acid, which has strong anti-inflammatory properties and does a brilliant job of fighting off free radicals; Organic Cranberry Seed Oil which is high in Vitamins A, C, E, and K - this is a great anti-ageing oil and helps to keep the skin healthy overall, and Organic Camellia Oil, a moisturing and nutrient packed oil full of Omega 3, 6 and 9 EFAs, Vitamin E and polyphenols. Despite the range being essential oil free, this Cleansing Oil is still quite aromatic due to the natural ingredients inside, and it has a really interesting scent that a bit like a sweet, berryish marzipan with subtle spicy notes. The oil is a beautiful bright orange, but be warned - this can stain lighter fabrics, so it's best used with dark coloured flannels. Applying it feels so luxurious, and after I've massaged 4-6 pumps into my dry skin, all of my makeup has dissolved, leaving my skin perfectly clean and feeling silky soft afterwards. Beautiful! I've had the pleasure of trying many luxury face serums since I started blogging, and I can honestly say that this Super 25 Botanical Serum is up there with the best (Tata Harper, The Organic Pharmacy and Sunday Riley immediately spring to mind). It's even on a par with Vintner's Daughter and is something that I would recommend to those who found VD too essential-oil heavy for their skin type. 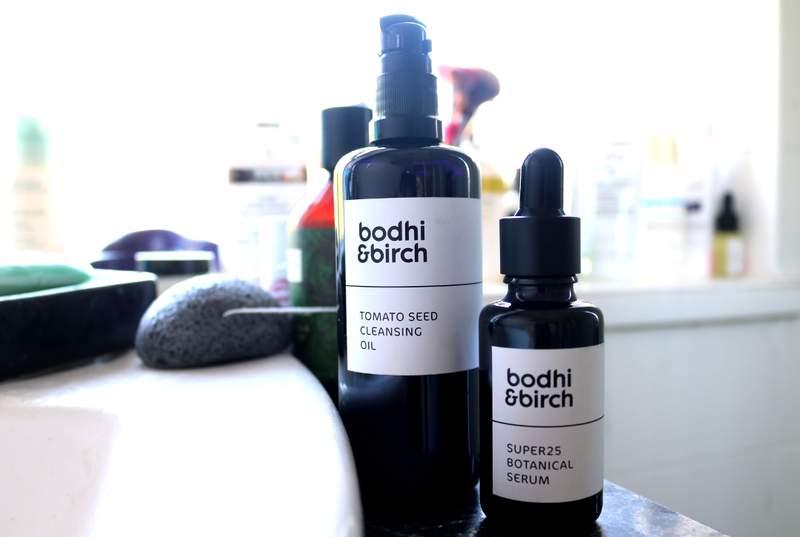 So what makes Super 25 Botanical Serum so special? The nutrient-dense formula boasts an impressive 100% natural, 75.5% organic, blend of 25 superfood botanicals which are all naturally derived from seeds, fruits, nuts and berry oils. Some of the key actives include Organic Plum Kernel Oil, Organic Baobab Oil (rich in Vitamins A, D, E and K and including all three Omegas), cold-pressed Blueberry Seed Oil (packed full of tocopherols, carotenoids and powerful antioxidants that act synergistically together), Organic Cranberry Seed Oil, Green Coffee Oil (high in chlorogenic acid which helps to tone and tighten the skin temporarily), Organic Rosehip Oil, Organic Prickly Pear Seed Oil (contains over 88% Vitamin E to deeply nourish and plump up the skin), Organic Maracuja Seed Oil (has impressive anti-inflammatory properties), Organic Macadamia Oil (super regenerating and replenishing), Organic Marula Oil (naturally rich in Omegas 6 and 9), Olive Squalane (derived from olives, it contains a unique antioxidant that protects skin from free-radical damage), and Co-Enzyme Q10 (helps restore the lipid barrier of the skin alongside Vitamin E). The full list of ingredients can be found here. Getting the right balance of all of these superfoods and putting them into a formula that works for the skin so exceptionally well is what's most impressive about this product, and whilst I was expecting it to feel really heavy in texture, it's actually a lot lighter than I expected. There's a lot of richness to this serum though and I'd suggest allowing your skin to have a couple of minutes of absorption before applying your moisturiser to fully reap all of the rewards that it has to give. Since using this serum, I've noticed that my skin feels much more balanced (for reference I have an oily/combination skin type), nourished, plumped up and it just looks 'fresher' and brighter overall. I'd recommend Super 25 for most skin types, but feel that it would particularly benefit mature skin and skin that's starting to show those first signs of ageing. Does this range appeal to you?